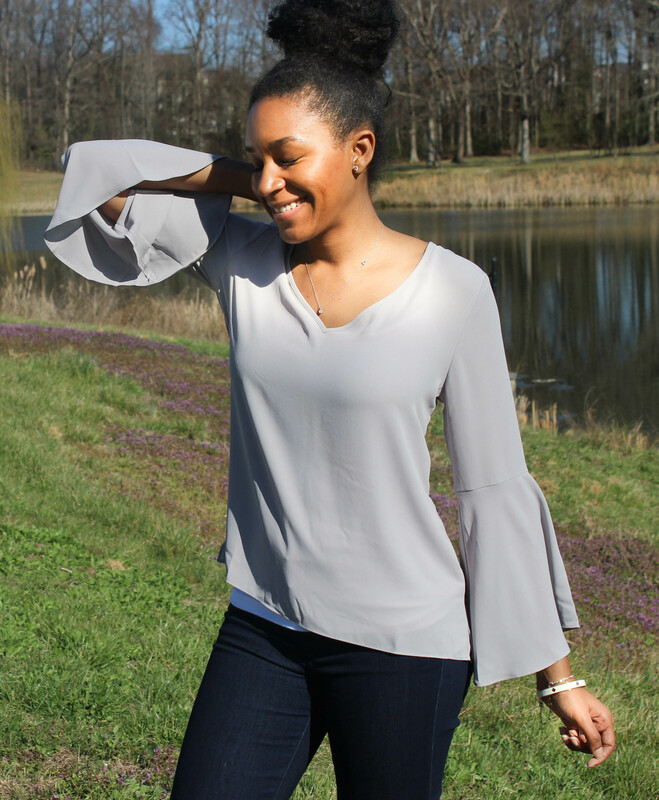 A major trend right now is bold sleeves, everywhere you look there is a large puff sleeve, or flutter sleeve, or even a large ruffle on the shoulder. Oh wait, even off the shoulder shirts (I forgot about that). Nonetheless, sleeves are in. Okay, I am being honest, I am not super into the trend 100%. I like it but not to sure how it fits with my style. I guess I am just different. Here is a tip- If you are not sure about a trend, try it in a modest way. That is what I did here. The sleeves are not crazy overwhelming but they are still on trend. This will actually be super cute with a pair of shorts as well. Here are the details of this outfit!